I had always dropped down a little bit, even in Little League I would vs. left-handers. I did it rarely in high school and then in college they had me shut down doing that. During the 1998 season I was making slow progress in AA and hit a wall. I had hurt my foot in spring training and struggling big time at AA on rehab assignment. I was a first round draft pick and things not looking good if wasn't getting hitter out in AA. Dropped my arm angle to low 3/4's and the pitching coach asked me to go even lower. 3 starts later, I threw a complete game shoutout. Had more confidence when I dropped down, hitters just aren't used to seeing it and unfamiliar facing sidearm/submarine pitchers. When you drop down you get that natural sink, which can defintely help to keep the ball down against better hitters. The negative thing about dropping down, is that you get stereotyped. 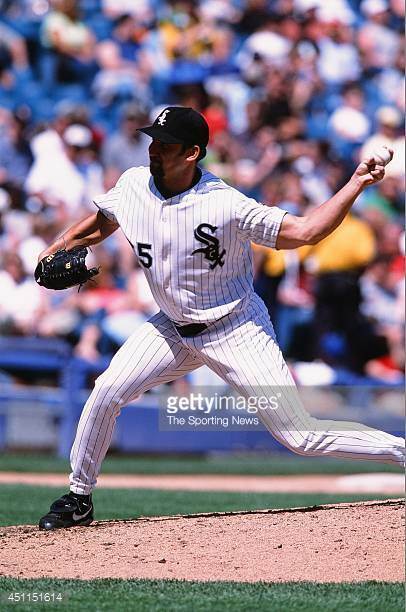 Coaches think that because you are sidewinder you can just be a reliever, can only get lefties out. In 1999, I had 2 starts in AAA Indianapolis and was 2-0 but they moved me to the bullpen. I was told submariners aren't starters. You basically have the same problems as throwing over the top. Flying open, you gotta keep that front shoulder closed. One thing I see with pitchers dropping down is popping up too early, when this happened my ball would just stay flat and up. Also important to learn a change-up. A lot of sidewinders just throw fastball and slider, but change-up can be nasty pitch from down there. If i was throwing my change-up right, I knew my mechanics were on. astball, Slider, Change-up...unlike most sidewinders, change-up was my best pitch, it was an aggressive circle change. Lefties- I honestly threw the same sequence almost every time..1st pitch-was just a fastball over the plate..2nd pitch- Change-up down..3rd pitch on- sliders. I loved throwing the change-up to lefties! Lefty throwing a change-up to a lefty is a wives tale. If thrown properly a very effective pitch. 1-0 change-up awesome pitch. Righties- It was a little harder obiously, at the beginning I had more success against them, then they start to figure you out. After my rookie season in 2000, there was a baseball themes cruise I was invited to go on. Jason Giambi was the reigning AL MVP and some people asked him who was the toughest pitcher to face and he said Kelly Wunsch. I was just really able to make left handed hitter uncomfortable. Remember making Barry Bonds looking silly with some ugly swings.